Iran's Supreme Leader limits range of ballistic missiles to regional Mideast targets. 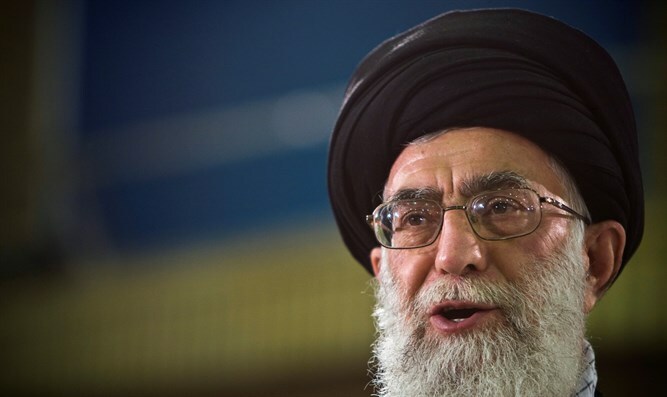 Iran's Supreme Leader, Ayatollah Ali Khamenei, has restricted the range of ballistic missiles manufactured in the country to 2,000 kilometers (1,240 miles), the head of the paramilitary Revolutionary Guard said on Tuesday, according to The Associated Press. The restriction limits the missiles' reach to only regional Mideast targets, including Israel and American military bases in the region. Speaking on the sidelines of a conference in Tehran, General Mohammad Ali Jafari told journalists that the capability of Iran's ballistic missiles is "enough for now." The Guard runs Iran's missile program, answering only to Khamenei, noted AP. "Today, the range of our missiles, as the policies of Iran's Supreme Leader dictate, are limited to 2,000 kilometers, even though we are capable of increasing this range," he was quoted as having said. "Americans, their forces and their interests are situated within a 2,000-kilometer radius around us and we are able to respond to any possible desperate attack by them," warned Jafari, though he added he did not believe there would be war between Iran and the U.S.
"They know that if they begin a war between Iran and the United States, they will definitely be the main losers and their victory will by no means be guaranteed," he said. "Therefore, they won't start a war." In recent months, Iran has several times test-fired ballistic missiles, raising the ire of the West. Iran rejects the notion that its tests violate the nuclear deal it signed in 2015 or UN Resolution 2231, which bars the Islamic Republic from conducting ballistic missile tests for eight years. Last week, the U.S. House of Representatives voted for new sanctions against Iran’s ballistic missile program, part of an effort to clamp down on Tehran without immediately moving to undermine the 2015 nuclear agreement. In response, Iranian President Hassan Rouhani said his country will continue to produce missiles for its defense and does not consider that a violation of international agreements. “We have built, are building and will continue to build missiles, and this violates no international agreements,” he said.